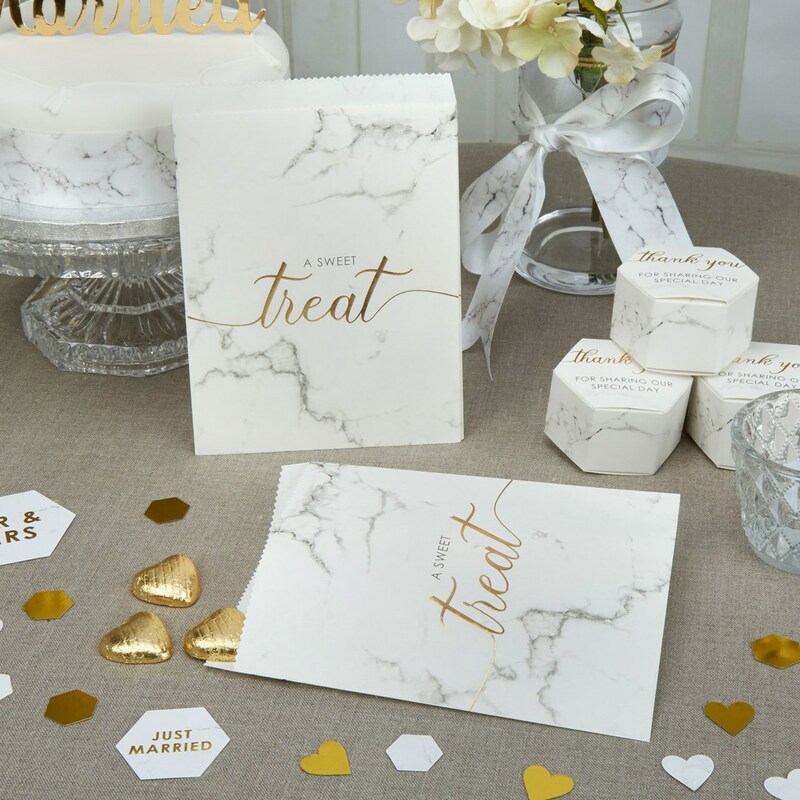 Tempt your guests with a selection of goodies presented in these effortlessly stylish sweetie bags. Made from crisp, marble effect paper, these bags are adorned with simple gold lettering in a glamorous typeface to add some subtle sparkle. Filled with foil wrapped chocolates, retro-style sweets or the classic sugared almonds, these pretty bags offer the perfect way to say thank you to your wedding guests. Each pack contains 25 Sweetie Bags.